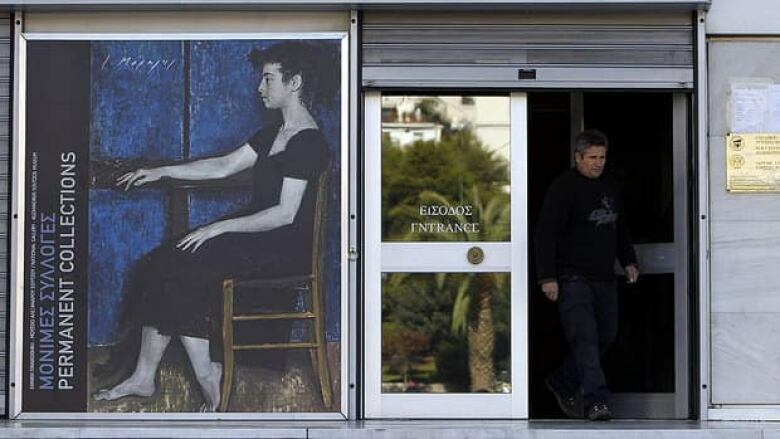 Thieves have snatched a trio of valuable artworks from Greece's National Art Gallery in Athens, staging a devious pre-dawn heist and making off with paintings by Pablo Picasso and Piet Mondrian. The stolen works — all stripped from their frames — included Woman's Head, a 1930s-era cubist bust that was donated to Greece by Picasso himself. 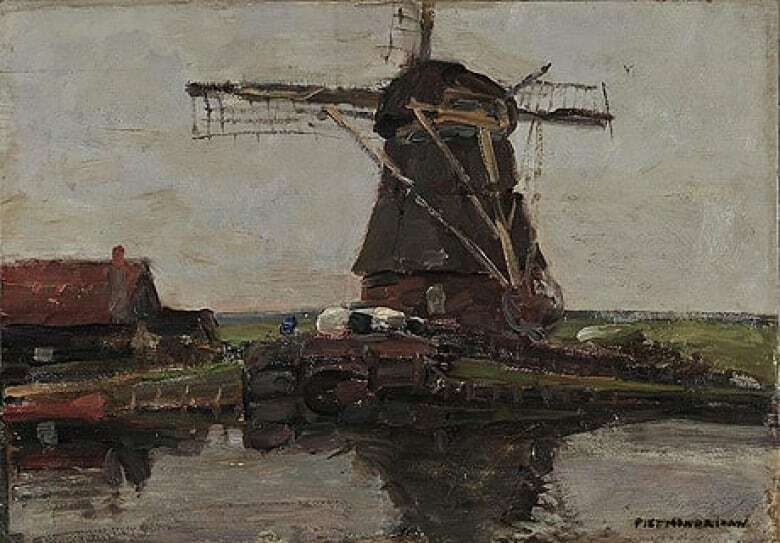 The second painting taken was Mondrian's Mill, a 1905 oil canvas of a riverside scene and windmill. The robbers also grabbed a pen-and-ink sketch of St. Diego de Alcala by 16th century Italian artist Guglielmo Caccia. 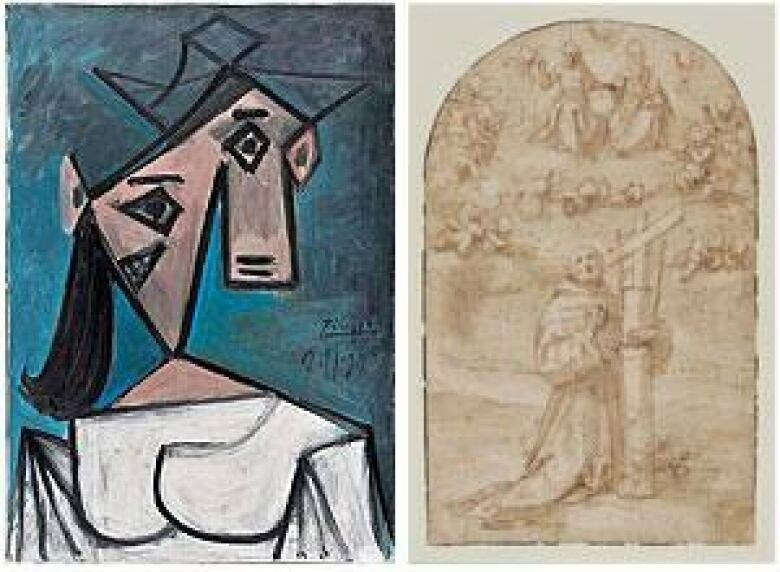 Gallery officials have not disclosed the value of the three works. Beginning Sunday evening, the robbers intentionally set off the gallery's alarm system several times without entering the building, according to police. The security staffers on duty, who investigated and found no disturbances, subsequently disabled at least one alarm. The burglars then entered through a balcony door. The thieves did, however, trigger a motion sensor in the exhibition area around 4:30 am local time. However, the responding guard just arrived in time to see one of the suspects fleeing. A fourth work — another 1905 Mondrian work — was targeted, but abandoned as the thieves fled. The entire heist took about seven minutes, according to police. The museum, which features mostly 19th and 20th century Greek paintings, had just concluded the exhibition Unknown Treasures. On Monday, it had been scheduled to shut down for an expansion and restoration project.